Take your mobile entertainment on the road with the RAM Torque handlebar and rail mounting base. 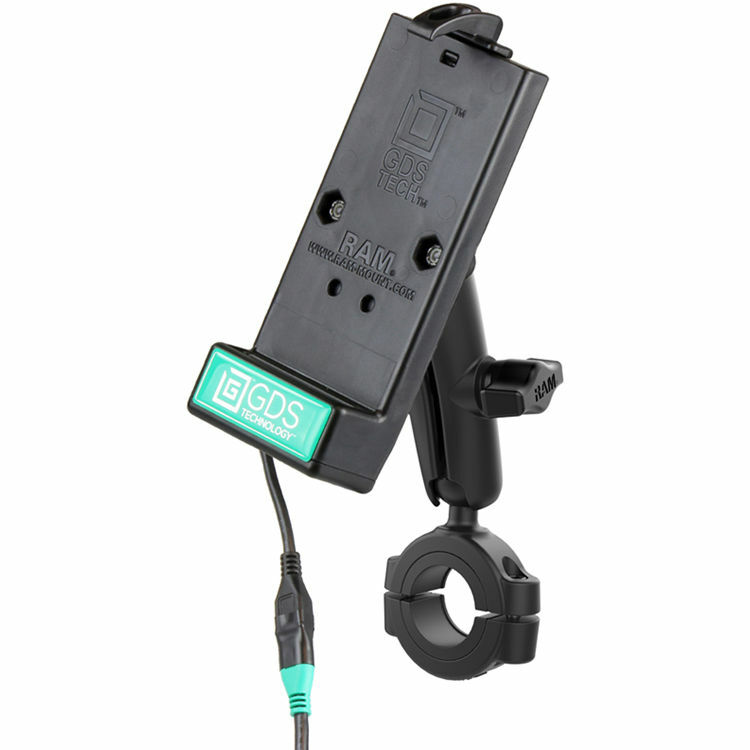 They have paired a B-sized 1" rubber ball that accommodates bars 1 1/8" to 1 0.5" in diameter with a B-sized standard length arm and the RAM Universal Vehicle Phone Dock with GDS Technology. Sizing inserts are included to provide a snug fit and offer additional protection for the rail. The mount utilizes nylon-insert locknuts to prevent loosening in high vibration environments. This low-profile mount is the perfect way to secure your personal electronics and small accessories in any high-vibration environment. The vehicle dock is a spring loaded, quick release cradle that offers a secure fit with easy access to the mounted phone or phablet; compatible with any phone or phablet wrapped in IntelliSkin. The integrated GDS Technology platform enables charging of the mounted device and safely secures the phone in a variety of vibration application. Without the need to remove the IntelliSkin from the device, the user can quickly and efficiently mount the device in the vehicle dock and keep the device charged.